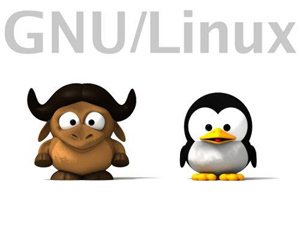 Linux is the most popular open sources free operating system which is based primarily on the Linux Kernel OS. The first Linux software was launched in 1971 and was entirely programmed using assembly language. It became popular mostly because of its facility of providing open source software. This operating system has given unlimited advantages and privileges to its users. Linux is an open source free operating system having many benefits. First of all it is very easy to install. It can be installed in any hardware like on all types of embedded systems also. It is so versatile that it provides compatibility even with the embedded systems like smart phones, watches and other digital devices. Moreover it can also be installed in mainframes and even super PC’s. Therefore it can serve large and the small processors really effectively. Right from its inception it is most widely used in servers as a strong back up system for the network servers. This is the reason why its home user market is very small accounting for only 1 -2 %. Most of all it is so flexible that its code can be modified according to the users requirements. According to the GNU project released in 1983 is considered the base for its being a free OS. It is preferred in most of the networks as to support the servers because of its sound security features. Linux software are most widely used and preferred because of their low cost. Linux distribution can be spread on many numbers of computers without having to bear any additional cost. it is most likely like a free and open source OS. Moreover the sound security system that comes with the entire Linux package has made it desirable to be used by network operators. It has given marvelous results in providing security to the users against Malware and many other viruses. The strong security can also be contributed to the open source code. The reason is that if any of its system supports the production of any malicious virus. The users have full authority to release patches in order to stop them. Therefore the end user does not have to wait for the patch release form the company. 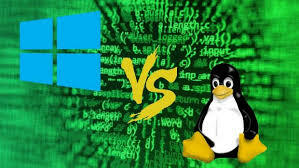 Linux OS is highly supporting and gives the users enough discretion to change the codes in order to meet their requirements. One can change the look and the feeling of its system and network accordingly.